Please remove the green plastic rubber protector on the wiper blade before use. 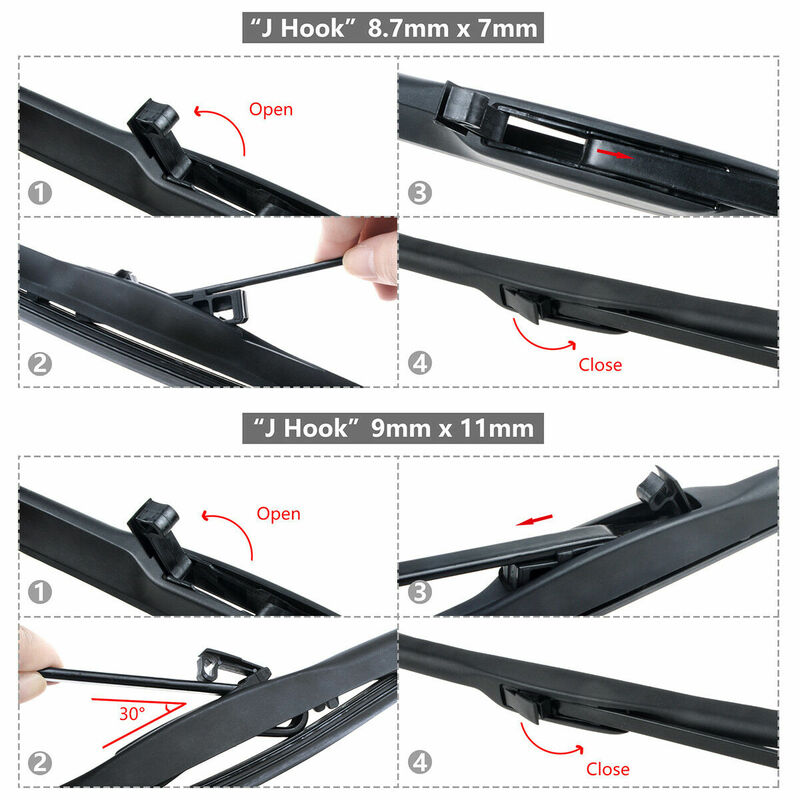 Our wipers only fit "J-Hook" wiper arms. Please check the compatibility of your vehicle before bidding.